Avaaz has launched an online petition calling on the EU to immediately ban the use of neonicotinoid pesticides. 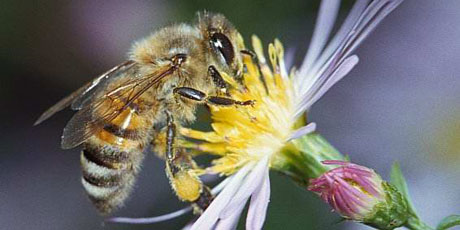 The global advocacy organisation says: “Quietly, globally, billions of bees are dying, threatening our crops and food. But in 48 hours the European Union could move to ban the most poisonous pesticides, and pave the way to a global ban that would save bees from extinction. “Four EU countries have begun banning these poisons, and some bee populations are already recovering. Days ago the official European food safety watchdog stated for the first time that certain pesticides are fatally harming bees. “Now legal experts and European politicians are calling for an immediate ban. But, Bayer and other giant pesticide producers are lobbying hard to keep them on the market. If we build a huge swarm of public outrage now, we can push the European Commission to put our health and our environment before the profit of a few. “We know our voices count! Last year, our 1.2 million strong petition forced US authorities to open a formal consultation on pesticides – now if we reach 2 million, we can persuade the EU to get rid of these crazy poisons and pave the way for a ban worldwide. “Sign the urgent petition and share this with everyone – Avaaz and leading MEPs will deliver our message ahead of this week’s key meeting in Brussels.” Over 2 million have already signed the petition, Avaaz now hope to get 2.5 million. This entry was posted in Bees, Nature, Wildlife and tagged conservation, countryside, Europe, gardens, pesticides, petitions. Bookmark the permalink. This is great, thanks. Have you seen that 2 million have now signed and they’re hoping to reach 2.5 by the deadling. Bee lovers (and food eaters) of the world unite! Yes I saw that. Great news, let’s hope they reach their target!